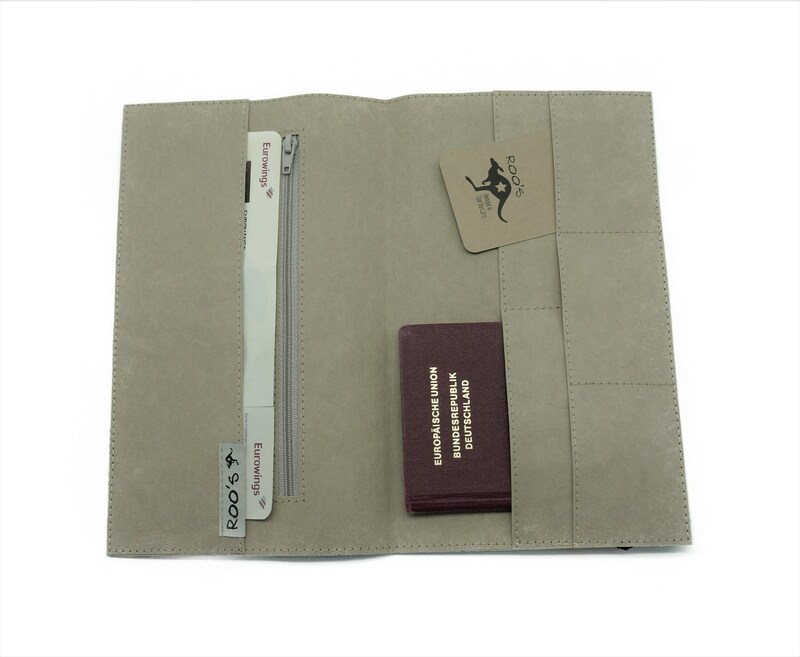 This handy folder for travel documents has room for 2 passports, cards, boarding passes and money. 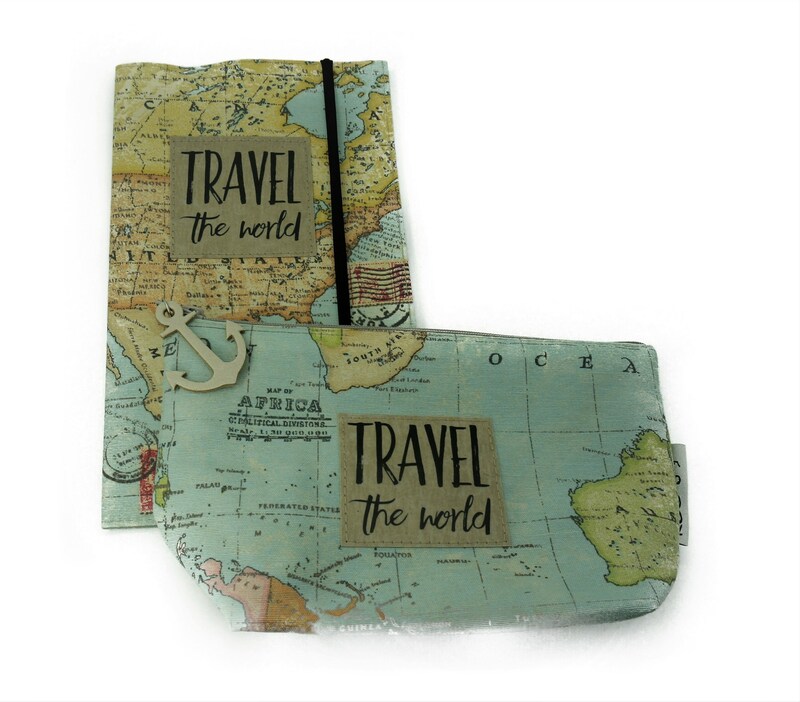 The Travel Organizer is made from world map canvas with the Label "Travel the World" from printed SnapPap *. It is 14.5 cm x 24 cm tall in a closed State, or is 29 cm x 24 cm tall. In the large Compartment on the right there is Room for Passports and ID Cards. 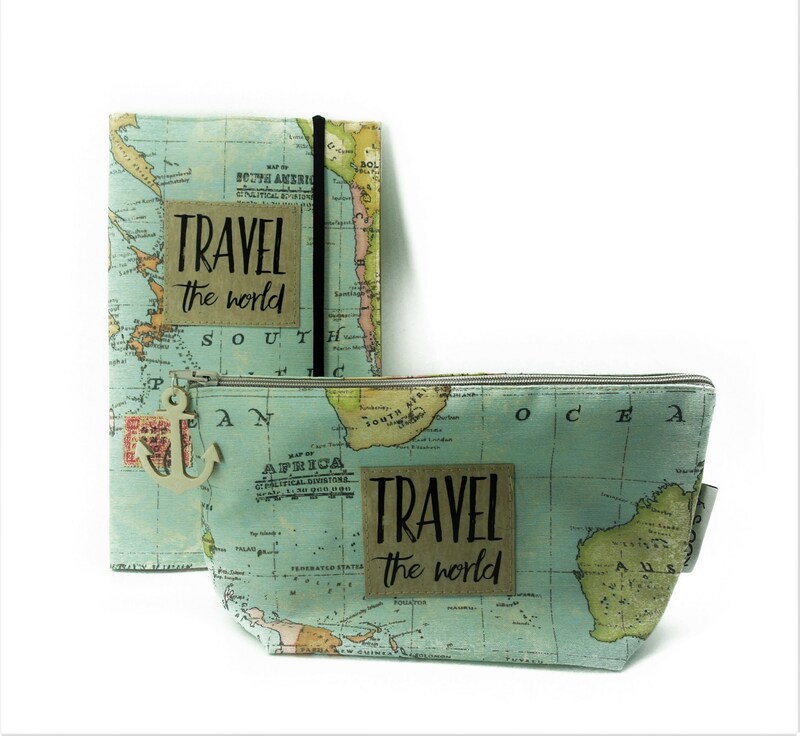 Links Can be stowed Boarding passes or Money in the zipper compartment. 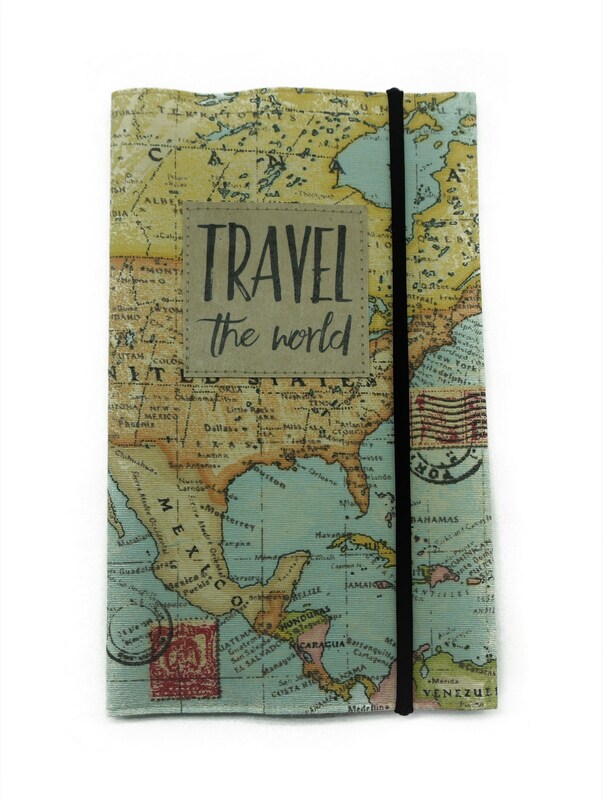 The Folder is Closed with a black Rubber band. Inside, she is also made from the vegan Leather Snap Pap * in the Color stone, a bright Shade of grey. 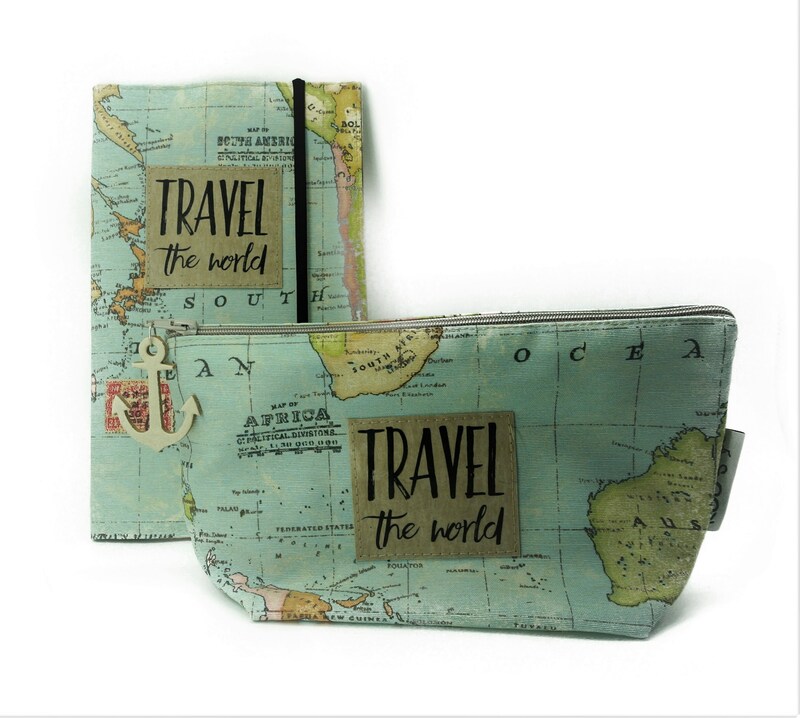 Who likes to buy the whole Set right away: Then the Cosmetic Bag in the right world card design is one of them. 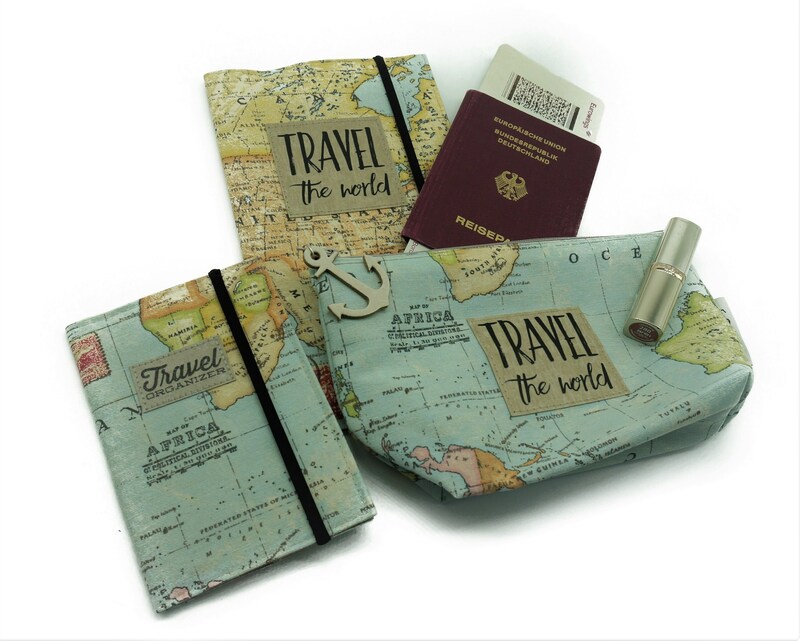 The small lined cosmetic Bag has a size 23 cm x 15 cm x 8 cm. 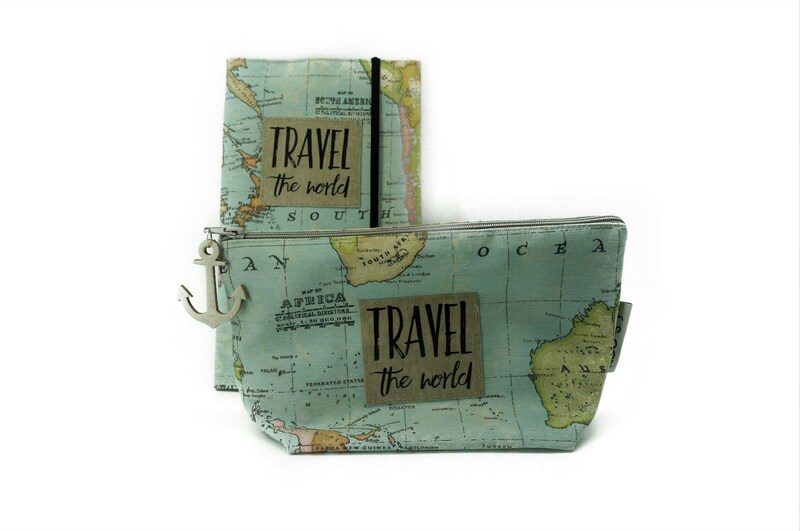 It is closed with a Zipper with a bright Leather anchor on it. 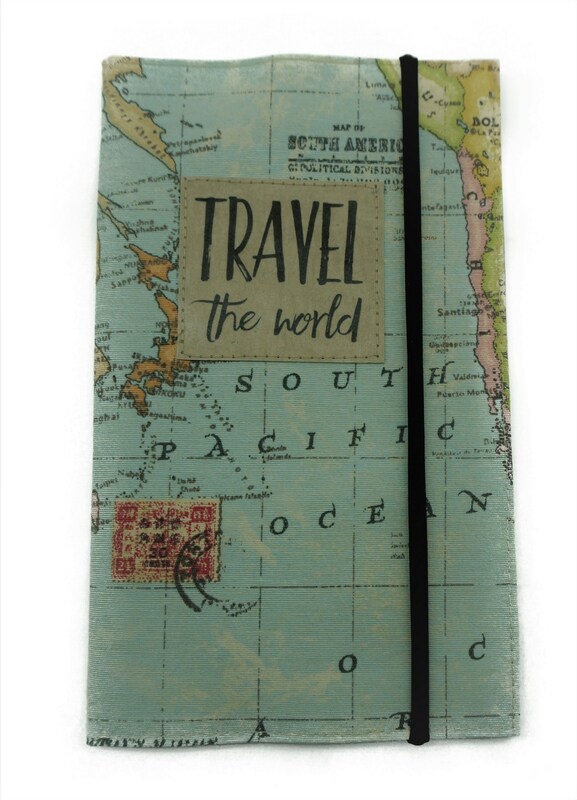 The travel case is available twice-once with the US on the front, once with the Pacific. When You buy, please specify which card Cutout is desired. 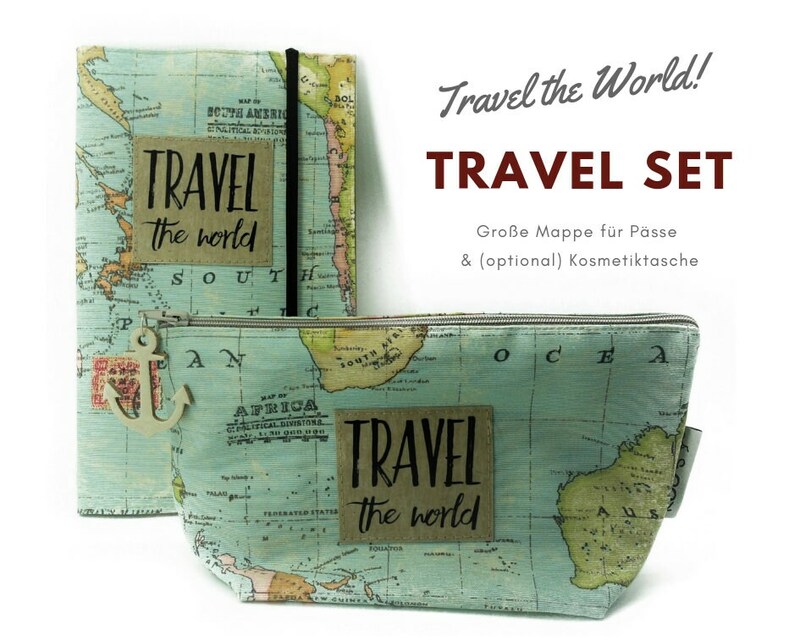 In the matching world map design there are also small Passport cases in our Shop. What is snap pap? 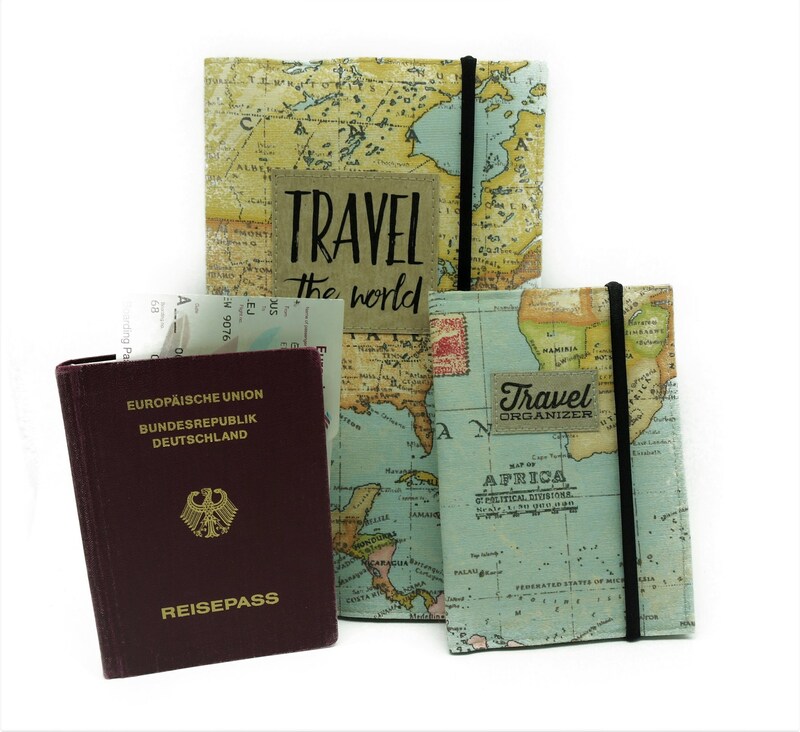 * * SnapPap is a washable paper in leather look that consists of a paper-plastic mixture. It is 100% vegan.